Of the many comic book sites where the news of his passing was announced, Mark Evanier�s blog, with his personal insight into Mr. Drake�s career, may be the single best place on the net to learn more. 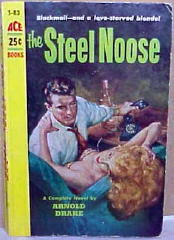 It was author Edward D. Hoch, however, who first spotted Arnold Drake�s name as being included in Allen J. Hubin�s Crime Fiction IV. In an email sent first to Marvin Lachman, however, he wondered if it was indeed the same Arnold Drake. It was, as it turns out, the same man. DRAKE, ARNOLD (Jack) 1924-2007. Joint pseudonym with Leslie Waller, 1923- , q.v. : Drake Waller, q.v. 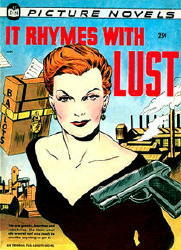 WALLER, DRAKE Joint pseudonym of Leslie Waller, 1923- , q.v., and Arnold (Jack) Drake, 1924-2007, q.v. 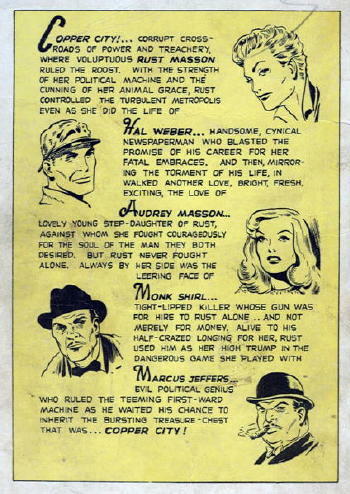 It�s a minor footnote in the field of crime fiction, but as was indicated earlier, it made history in the world of comic books as the very first graphic novel. If you check the shelves at your favorite chain bookstore, you will see how large a statement that is.